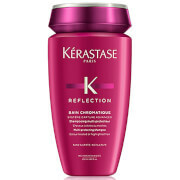 Leave hair feeling incredibly clean and smooth with Kérastase Reflection Bain Chroma Captive Shampoo. 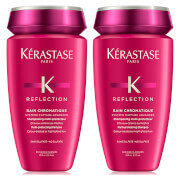 Suitable for all hair types, the shampoo contains Vitamin E and UV filters, defending hair against anti-oxidant aggressors and premature colour fading. 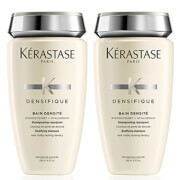 Also infused with Linseed Oil, popular for protecting the appearance of hair’s colour intensity, leaving hair lustrous with a beautiful shine.